This chapter explores young musicians’ strategies to accumulate relevant forms of capital in their struggle in the music fields. Particularly, the site of analysis focuses on the music scenes in Yogyakarta, Indonesia, which is famous as a city of culture and tolerance. As a manifestation of secondary habitus, the music community and its night activity offer free space for young musicians to interact with fellow musicians, learn the feel of the game and accumulate valuable forms of capital. These processes of learning are manifested in the regular jam session, gigs and informal gatherings in the music community. Using embedded participant observation and interview data, this chapter explores in detail the forms of cultural capital and social capital that are constantly reproduced through night activity. 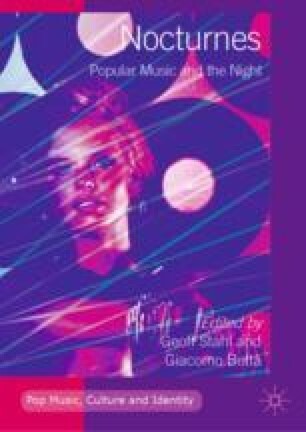 The chapter also argues that night activity actually accelerates the process of acquiring embodied cultural capital and social capital among young musicians. This chapter proposes that valuable qualities of youth creativity can be developed through night activity, in contrast to common perception in Indonesia that regards night activity as a waste of time and irrelevant for young people. ———. 2018. Popular Music Scenes and Aging Bodies. Journal of Aging Studies. https://doi.org/10.1016/j.jaging.2018.01.007.